Gigi has been asking me to make her another little girl fabric doll. She loved the one I made her from Simple Simon, pictured on my sidebar below, but the doll somehow disappeared, and I also lost the pattern which was part was a mail order kit. I wish I were more organized about filing away old patterns! 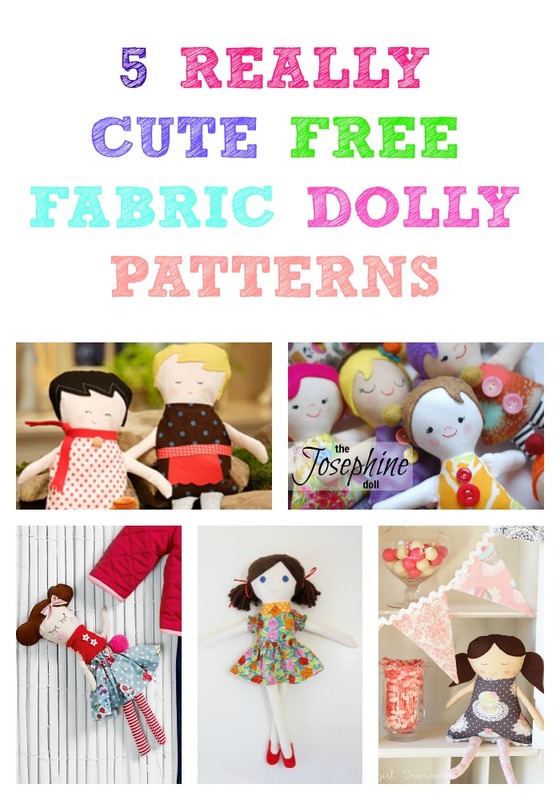 I didn’t really want to spend any money on a doll pattern, so I went in search of free doll patterns on the internet and would like to share my five favorite little girl doll patterns with you. As an aside, I just bought some raw silk fabric at an estate sale in two natural looking colors, that would be perfect for making a darker skin colored doll and a lighter colored skin doll and for some reason, I avoided throwing away some brown felted wool scraps when I did my big fabric purge. So I don’t have to go out and buy anything for this project. Yay! Adorable little girl doll from Girl. Inspired. Cute Boy & Girl dolls at Make It And Love It. The Black Apple doll at Martha Stewart. This one seems to be a huge favorite with doll makers. Baby Bows Doll by Judi’s Dolls. This design looks a little harder to make than the others. It’s similar to the Waldorf dolls I used to buy for my older girls. Gigi really likes this one. 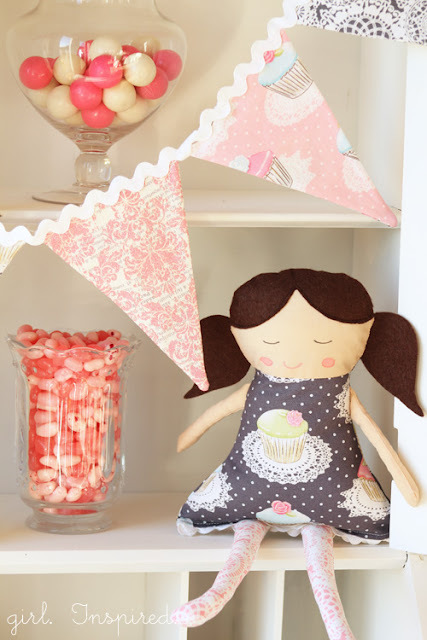 This rag doll pattern from Burdastyle isn’t free, but it is only ninety nine cents and I think it’s adorable! Hopefully, you all don’t already now these tutorials! I am a little late to the game in doll making and it took me awhile to find these. so I hope if you are a dollmaking novice like I am, this helps you in your doll making pattern search! Goat Girl Doll and mom’s campout Saint Joseph doll & thoughts on copying Felt Mittens and Gloves Tutorials Collette Patterns : So Cute! Very cute, Justine. 🙂 I’m a novice with doll making, too, but I sure used to love my Raggedy Ann doll. I was excited when I got to purchase another Raggedy Ann, for me, a couple of years ago, to replace my first one that I had when I was little. I hope you have fun playing doll dress-up with Gigi. I also loved your costumes you made for that play last week!! Those were beautifullly done! You’re an awesome seamstress!! Thank you so much for the encouragement Justine! i’d love to see your Raggedy Ann doll!I had one I loved, too. Thank you for the great list! I have been meaning to make a doll, this list helps!